Thanks for stopping by, Deb! It is such a beautiful city, and so unlike any other place. I would love to have a second visit some day! It is extraordinary, isn’t it?! It had been on my “to do” list for many, many years. Glad I finally made it there! We had a small taste of that last November. It was actually interesting to experience, but glad we weren’t there when the water was too high! If a picture is worth a thousand words, then there is no need to write any, especially when they are taken of beautiful Venice. Thank you! You are very welcome. Venice is just breathtaking. Impossible to take a bad photo there! We visited Venice this time last year, so I was feeling a twinge of nostalgia and pulled out the photos for a look. It really is a city of dreams! Thank you. You can’t take a bad photo in Venice– it’s the perfect model! So true. Before we went, I thought I knew what it would look like–I’d seen so many photos. But it is true– to stand in that city and turn 360 degrees is just to be overwhelmed. It is an amazing place. Love, love, love Venice! 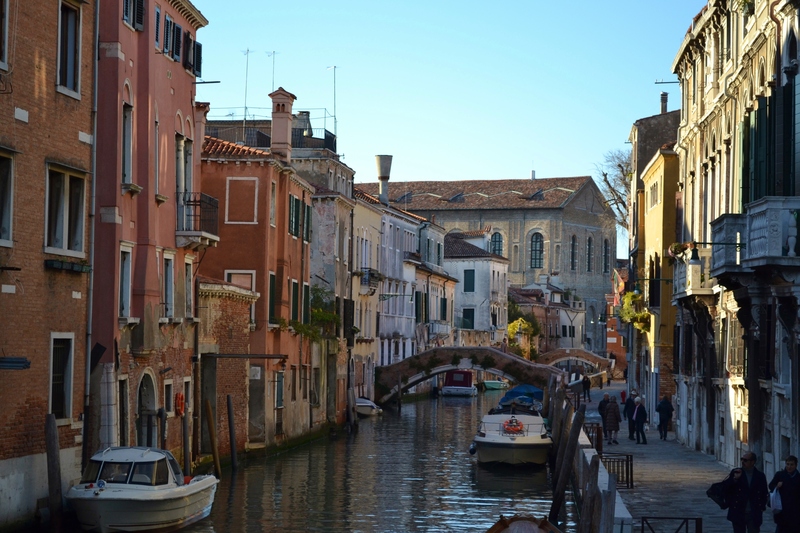 I need to post about my Venice trips too:) great photos! Oh please do post– I’d love to see your photos! How often have you been there? We just made the one trip a year ago, but I absolutely adored Venice. Hope to go back again some day. eheheh I am in Mestre right now,10 km from Venice…..cold ah? I wasn’t left wordless. Beautiful. It is like nowhere else. I would love to see it in summer … Although I imagine the crowds are formidable. Beautiful photos! I’ve never been to Venice but would like to go. I hope you get there. It’s a magnificent place– one of my favorites! Thanks for dropping by. This looks beautiful! I am dying to go to Venice. I just visited Milan and it was my first trip to Italy. I LOVED it. I am learning Italian. Just absolutely loved the culture and the language. Hopefully going to Italy again for my birthday (Rome, Florence or Venice). Great photos! Thanks! Italy is so very beautiful. I spent some time in Tuscany and fell in love with that area too. Never been to Rome, though– hope to get there some day!